The following message was distributed from the President, the Provost, and the Chief Diversity Officer to the Webster University community. With the return of our entire Webster University community from spring break, it is with deep sorrow that we express our condolences over yet another senseless attack on a targeted community. The tragic loss of 51 lives during two horrific terrorist attacks on two mosques in Christchurch, New Zealand last weekend is another stark reminder that we have much work to do toward encouraging others to learn and accept others with different backgrounds and belief systems. This is yet another in a series of acts of violence. For some, fatigue toward reacting to these events may be setting in, as there seem to be so many. But we must not let it, for then those who sow the language of division and hate will win as we become apathetic and then blinded to the damage they are creating in our communities. This hatred and bigotry toward our Muslim brothers and sisters, as well as any act of hate toward any member of the human community, should immensely affect us all. 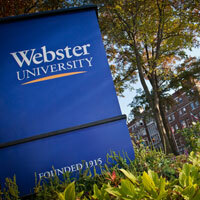 Our core values at Webster University embrace diversity and inclusion in many forms, including ethnicity, gender identity, mobility, economic backgrounds and faith. We recognize that an essential tool in any educational experience is to listen and learn from others with different experiences and perspectives. Doing so spawns newer, better ideas and improves our understandings of ourselves and others. Diversity is our strength. To counter this latest expression of hate by those who choose to fight progress and understanding, we urge every member of our community to celebrate our diversity by embracing the actions described in the Inclusion Pledge created by Webster students. Webster is home to a rich diversity of individuals. We want all to feel welcome here and to know they are safe in their university home.